Activation LG3G/Skypephone for Micro-Box it's additional activation dedicated for Micro-BOX that allows for UNLIMITED unlock for new LG aqnd SkypePhones. 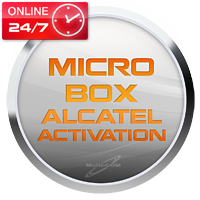 Alcatel activation for MicroBox allows you to unlimited unlock of Alcatel models usign your MicroBox. All those without any logs, waiting in real time. RPL (Karwos) for Multi-Box allows to calculcate RPL for yoru phone using MultiBOx or MultiBOX LITE with additional KARWOS activation. BlackBerry activation for MicroBox allows you to unlimited unlock of BlackBerry models usign your MicroBox. All those without any logs, waiting in real time. BlackBerry MEP0 activation for MicroBox allows you to unlimited unlock of BlackBerry MEP0 models usign your MicroBox. All those without any logs, waiting in real time. Require BlackBerry activation for MicroBox. HTC activation for MicroBox allows you to unlimited unlock of HTC models usign yoru MicroBox. All those without any logs, waiting in real time. Logs for Micro-Box are needed for Unlock Sagem and LG3G phones by Micro-Box. Each unlock for Sagem takes 1 log - same for LG3G. You can unlock all eatest phones using Micro-Box fast and easy. For adding logs you need to have Micro-Box and give us it's number after makign a payment. 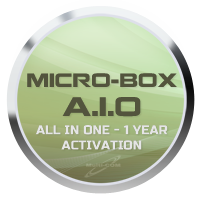 Micro-Box AIO ( All In One) 1 YEAR activation is a set of all the possible activation of the MicroBox'a valid for one year from the time of purchase. This is ideal for those not wanting to invest in separate activations and need them only for a specified period of time. After a period of one year will lose additional activations box and returns to the initial state of before purchase. 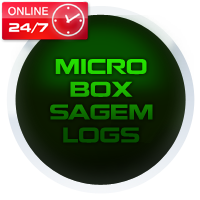 Sagem / Sony Unlimited for MicroBox allows you to unlimited unlock of Sagem models usign your MIcroBox as well as SE unlimited flasher.